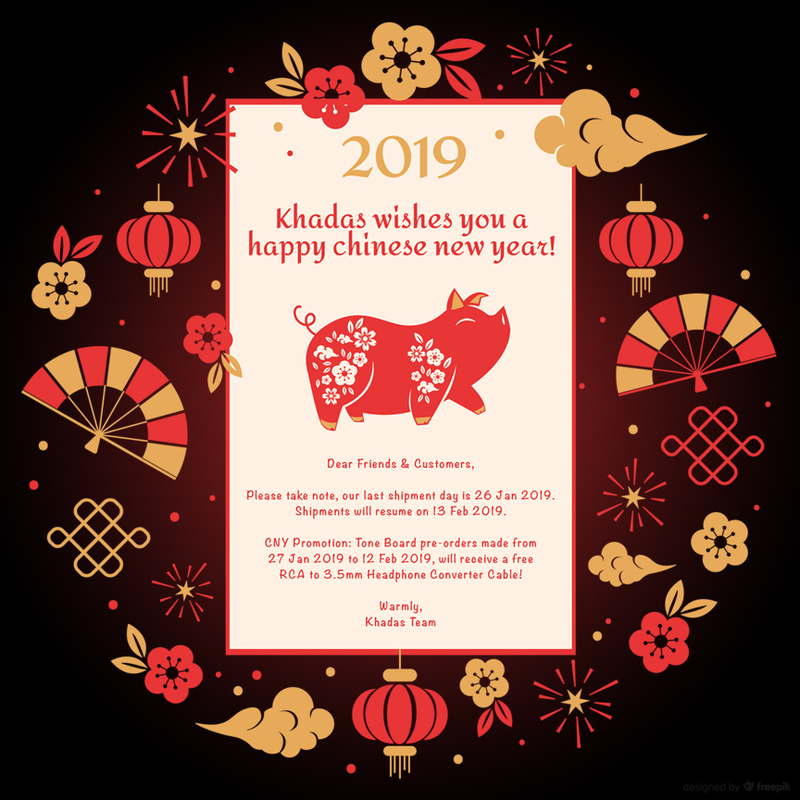 Khadas wishes you a happy Chinese New Year 2019! Please note that shipments will be temporarily unavailable due to the Chinese New Year Holiday, from 27 Jan 2019 to 12 Feb 2019. To receive your products early, please place an order before 27 Jan 2019 at https://khadas.com/shop. If you order a Tone Board during 27 Jan 2019 to 12 Feb 2019, we’ll add-in a free RCA to 3.5mm Headphone Converter Cable, for your waiting time! Forum Users: We may be slow / unresponsive on the forum during those 2 weeks. Most Happy New Year in China. I wish you the best for 2019! Uranium Christmas was January 7th. In Canada we have many nationalities and new years holidays. All the very best. Please wish all people in China & Canada remain best friends. Politics and Government are not listening to the people. Many people travel back & forth to China and Canada. Many come to school in Canada. I have trained many Chinese pilots. We remain friends all over the world. Vancouver, British Columbia is favorite vacation spot for many Chinese people. There is so much that Canada can learn from China. We sell many tons of grain to China each year. Our business and countries are good for each other. Our friendship goes back many years with Chinese families and students. I hope our leader will stop and think about what Canada & China mean to everybody. Very best of 2019 and let’s keep smiling! 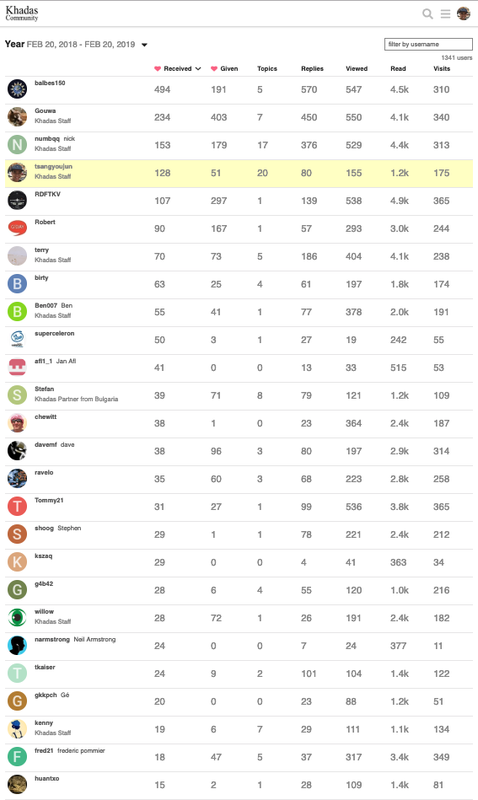 Same with last year, we will announce the Top10 users here on 19 Feb (also a traditional Chinese festival). I just recently discovered that you have a store in Aliexpress, wouldn’t be bad for others to know this, it should be pinned somewhere. Regarding the rewards, this is really nice from you, my Vim2 works perfectly as media center in Android, the one i received as a reward. It’s that “time of the year” again. We’ll add you guys into a private chat to discuss the details! 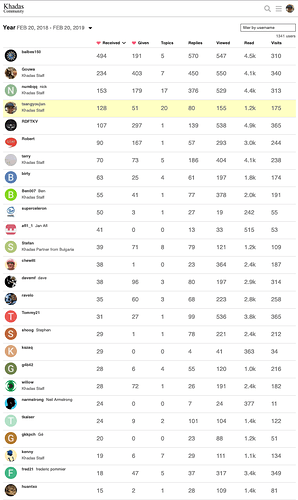 Congratulations for winning! Amazing - thanks guys! Wasnt expecting this! Oh, very good! Thank you guys!! !